Ally enjoyed a successful playing career with Third Lanark, St Mirren, Blackburn Rovers, where he played a leading role in the 1960 FA Cup Final, Hibernian and Ayr United. He moved into football management with Ayr United and capped a rewarding first spell at Somerset Park by twice winning promotion into the top flight and guiding the ‘Honest Men’ to a Scottish Cup and League Cup semi final. In 1975 Ally moved on to Aberdeen, where, one year later, he guided the ’Dons’ to victory in the League Cup Final against Jock Stein’s Celtic. 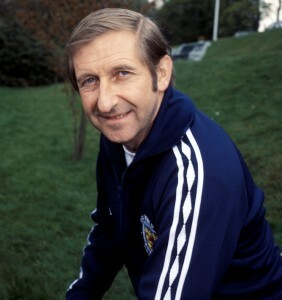 MacLeod’s success at club level led to his appointment as Scotland manager in May 1977 and the new boss got off to an excellent start. Under Ally’s leadership Scotland defeated England at Wembley in 1977 to win the British International Championship. They also qualified for the 1978 World Cup Finals in Argentina, and although the campaign ultimately ended in disappointment they bowed out of the tournament with a 3-2 victory over the Netherlands who would go on to contest the final. MacLeod went back into club management, taking the reins at Ayr United (twice), Motherwell, Airdrieonians and Queen of the South. His last trophy came in his third managerial spell with Ayr United, winning the Second Division title in 1988.